No matter which residence you choose at our community, you’re guaranteed to enjoy officer-class comforts in your new home. As an additional benefit, we offer several home customization options, so you can let your space reflect your personal style. Ranging from the kitchen to the bathroom and beyond, here is a sampling of the ways you can make your Knollwood home look and feel just as you like. Knollwood offers several custom touches that will make your kitchen a comfortable, contemporary hub of the home. You can select your preference of granite countertops, and you also have the option of specifying custom cabinetry to fit your needs. Our team is also working on kitchen enhancements community-wide. Two of the most impactful home finishes are flooring and paint colors, and you will be able to choose your preference for each element inside your home at Knollwood. If you’re unsure which flooring may work best for your new home, consider using this helpful resource from the folks at Consumer Reports as a guide on which floor type will suit your needs and style. The same goes for paint, so whether you want to fill your home with bursts of color or create a classic look with neutral hues, this resource can help you find the perfect color palette. Additionally, Knollwood residents have the choice of their preferred window treatments, such as custom drapes, blinds, curtains or shutters. You also have the option to add custom touches to spaces in your Knollwood residence that you’ll appreciate every day. This includes the opportunity to supplement your living space with useful, custom built-in bookcases, and the option to have the closets lined with cedar planks for a warm, timeless look. “Residents who choose Knollwood for their next home can partner with us on customizing their apartment. The process is fun, exciting, and reflects the unique character of each resident,” Paul explained. “The key is to notify us early so we can begin a thoughtful conversation that results in delivering a new home to their specific tastes. “However, our standard renovations are also very nice and offer ‘turn-key’ simple elegance, always available to new residents who prefer peace of mind and foregoing the details of apartment customization. Regardless, we will work with the residents to ensure they are pleased with their new home,” Paul said. To explore the welcoming floor plan options at Knollwood, simply click here. 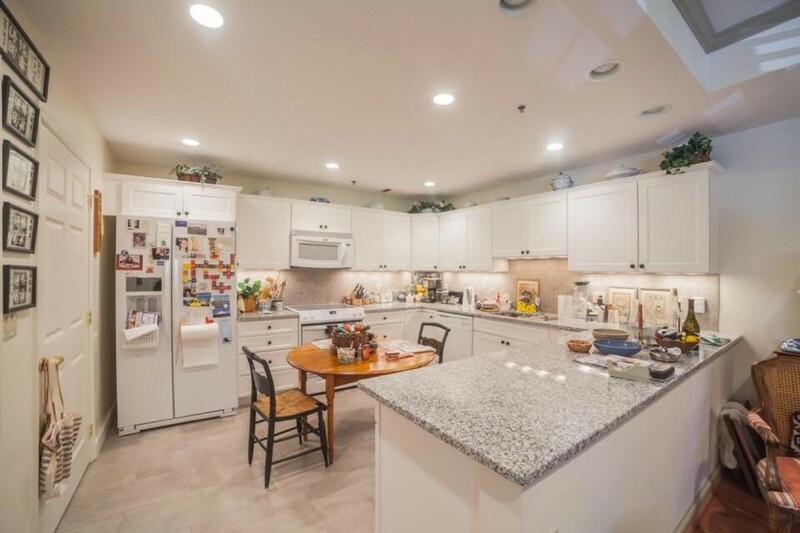 If you’d like to visit for a personalized tour and see our residences for yourself, click here or give us a call at 202-541-0400!